The year 2015 marks one decade that the Circulator has been providing quality transportation throughout the District. 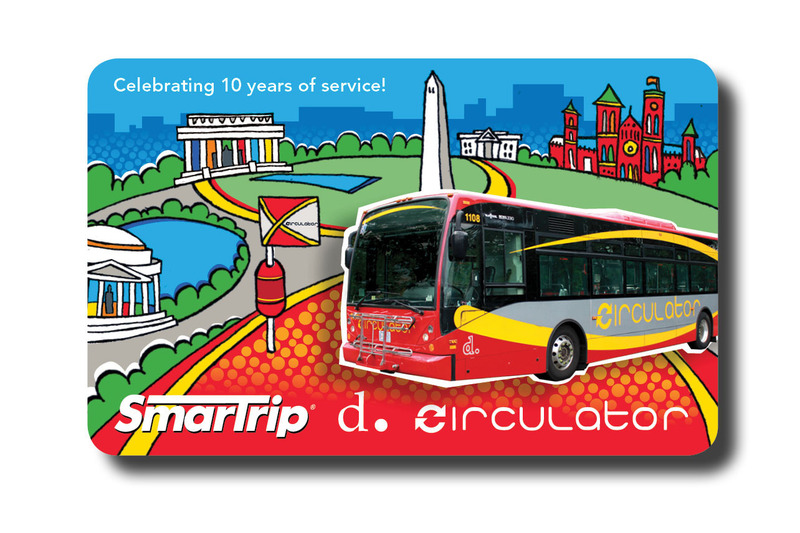 Make this celebration memorable with our Limited Edition 10 Year Anniversary SmarTrip® Card. With only a limited quantity available, this commemorative card is the perfect collector’s item for both District residents and visitors. It’s a fun AND functional souvenir that costs only $10 each and is pre-loaded with $8 of fare. DC Circulator is only $1 per trip, so that’s four round trips on our shiny red buses. These cards can also be used on Metrorail, Metrobus and many other transportation options in the DC area.